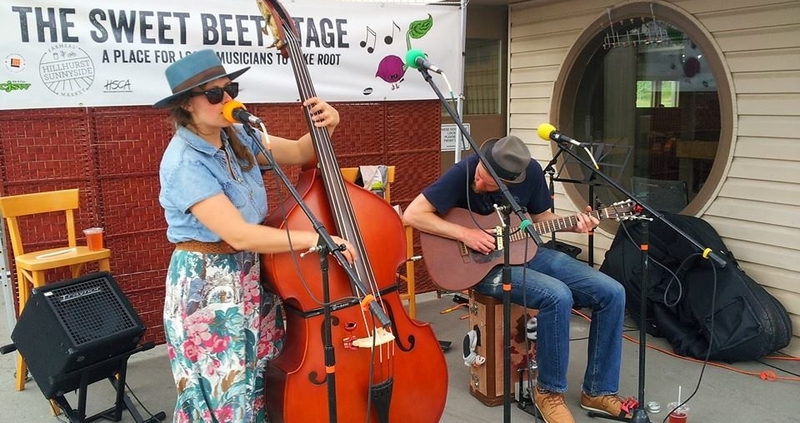 Local talent showcased weekly on our Sweet Beet Stage. Music can add a lot to the market scene. We are happy to have some of Calgary’s most talented musicians perform for you during market hours, whether we’re indoors or out. We’re also happy to provide a venue for those just starting out – there’s no need to be a professional. We are also open to all kinds of performances. From dance, to spoken word, to music- we love it all! Interested in performing at the market? The Farmers’ Market operates indoors every Wednesday of the winter months and move outdoors around May long weekend. We ask that you choose a two-hour time slot, either 3-5pm, or 5-7pm. When you have a date in mind, fill out the application form below with some basic information and the date and time you’d like to play. Our Music Coordinator will get back to you with confirmation and more information soon. Please remember, performers are not compensated by the Farmers’ Market but rely on the donations of market goers. All entertainers must fill out the Busker Application Form and be accepted by either the Market Manager or the Music Coordinator. Performers are not compensated by the Farmers’ Market. Performers may put out a hat, guitar case etc. to collect money. Performers must have been scheduled to play. Performances must be appropriate for a family audience. Performers must be considerate of vendors and the public, and their ability to engage with each other. The volume may at any time be adjusted by either the Market Manager or the Music Coordinator. Performers are asked to communicate with either the Market Manager or the Music Coordinator if they will be leaving or arriving at any time other the scheduled one. CDs are the only merchandise that may be sold unless permission is granted by the Market Manager or the Music Coordinator. Download a complete list of the sound equipment we have available. To apply, contact us directly with your preferred dates and links to your online music!